We are pleased to provide you with information about the City Clerk’s office. We have designed the following web pages to help inform our citizens about our functions and what types of services we provide. We welcome your comments. If we can provide any additional information, please contact Rita S. Lee by phone at (256) 773-2535. 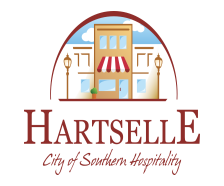 The City Clerk-Controller is the Custodian of public records for the City of Hartselle, which includes all minutes, resolutions, ordinances, contracts and codes. This office is responsible for the receipt, distribution and expenditure of all City funds, such as revenue from Business Licenses, Building Permits, and all City taxes. The City Clerk’s office is also responsible for preparing the City Council Meeting Agendas and Minutes of the City Council Meetings, as well as, the City Council Work Session Minutes. The City Clerk is the City’s Chief Election Official and is responsible for the administration of Municipal Elections. The Clerk’s office is open Monday through Friday, 7:30 a.m. to 4:30 p.m. City Hall is closed on the following holidays: New Year’s Day, Martin Luther King Jr. Day, Memorial Day, Independence Day, Labor Day, Veterans Day, Thanksgiving Day, the day following Thanksgiving Day, Christmas Eve, Christmas Day and New Years Eve.